“Principles are being formulated which, for example, raise the possibility of lighter penalties for illegally crossing borders, or propose that every country in the world simplifies and accelerates administrative procedures – in other words that we reduce the screening of foreigners who want to enter into our countries – or that NGOs should participate in these procedures,” the conservative heavyweight explained in an interview with Kossuth Rádió. 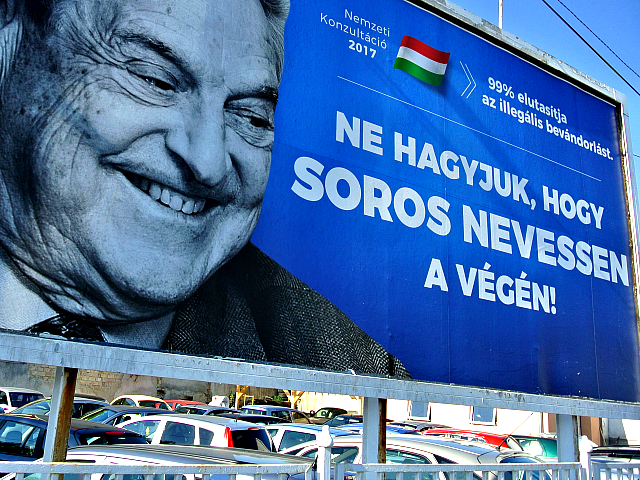 “Well, Hungary has had some rather bad experiences with NGOs: the bogus civil society organisations dealing with migration all eat out of George Soros’s hand,” he added. “A major part of cooperation activities in the field of migration is seen as being diverted to civil society organisations. God preserve Hungary from that!” he exclaimed. While the Central European country has not yet abandoned the compact, Prime Minister Orbán was clear that the proposals would have to change dramatically to guarantee his participation. “The global organisation [the UN] sees it as its task to organise a flow of people to and fro all around the world, instead of raising awareness of the inherent dangers in this,” he said. “We think that this is a dangerous phenomenon: I cannot recall any account of a mass population movement in the history of mankind that did not represent a grave danger to many countries … [but] instead of issuing a warning, [the UN] is promoting the organisation, implementation and simplification of migration. Indeed, newly-appointed UN Secretary-General António Guterres — a former UN High Commissioner for Refugees and Socialist Party prime minister in his native Portugal — argued that mass migration “powers economic growth, reduces inequalities and connects diverse societies” and told national governments to “recognise and reinforce the benefits” in a column for Britain’s left-liberal Guardian newspaper.